Organ donation consent from families in Wales has increased since the introduction of an opt-out system, a new study has shown. According to the figures, the percentage of families giving consent for organ donation has risen from 44.4% before the implementation in 2014, to 64.5% in 2017. 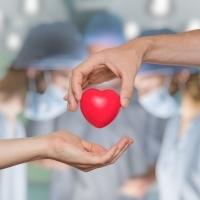 The increase in support has been identified as part of an evaluation of the Human Transplantation (Wales) Act that was has been in place for two years. The study also found that NHS staff are more supportive of change in legislation. The number of the health professionals who are in favour of the act has risen by more than a fifth (20.1%), increasing from 71% before the change, to 85% since. Vaughan Gething, the Welsh health secretary, says he welcomes the findings of the study, adding: "I congratulate the healthcare professionals involved in making this a success however, none of what we have achieved would have been possible without the support of the Welsh population." Wales is the first British country to introduce a soft opt-out system of consent to organ donation, and the act came into force on December 1, 2015. The legislation means people are considered to have no objection to being an organ donor unless they have specifically opted out. In June this year, Scotland announced that it is to implement a similar system, known as presumed consent, following overwhelming support for opt-out proposals (85%). England is also considering introducing the approach, and the health secretary Jeremy Hunt announced in October that the Government has plans for a 12-week consultation. Transplant patients can enjoy a full and active lifestyle with holidays abroad, by talking out medical travel insurance.